NOTE: Wire Transfer payment method doesn’t apply to Instant Booking. Since 1.21.1 theme version Wire Transfer includes HTML support. 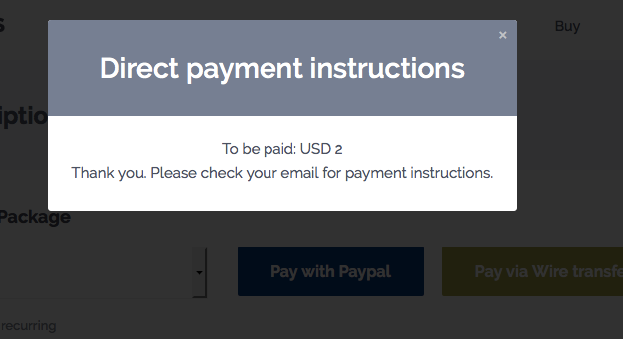 On the front end, users will see a button “WIRE TRANSFER” next to PayPal or Stripe. 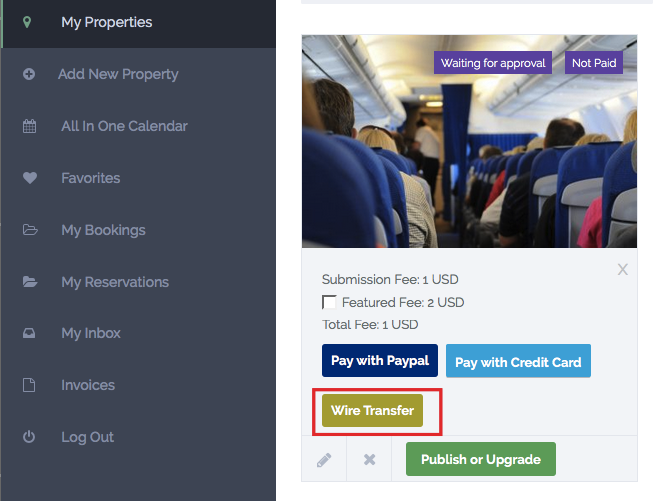 Wire Transfer button shows as an option to pay admin booking fee – if that is enabled. When clicking on the button – the next step is to see a modal info box with Wire Instructions. The modal box includes the details you set in Theme Options. The user has to click Send me the invoice to receive the same info via email. NOTE: The email default text (like title) can be updated from Email Management. The email will include the INVOICE NUMBER generated by the system. The user should include that ID in payment info. Admin can look for the invoice by ID, after he receives payment in his bank account. After you get the payment in your bank transfer, go to admin – invoices and look for the invoice ID. 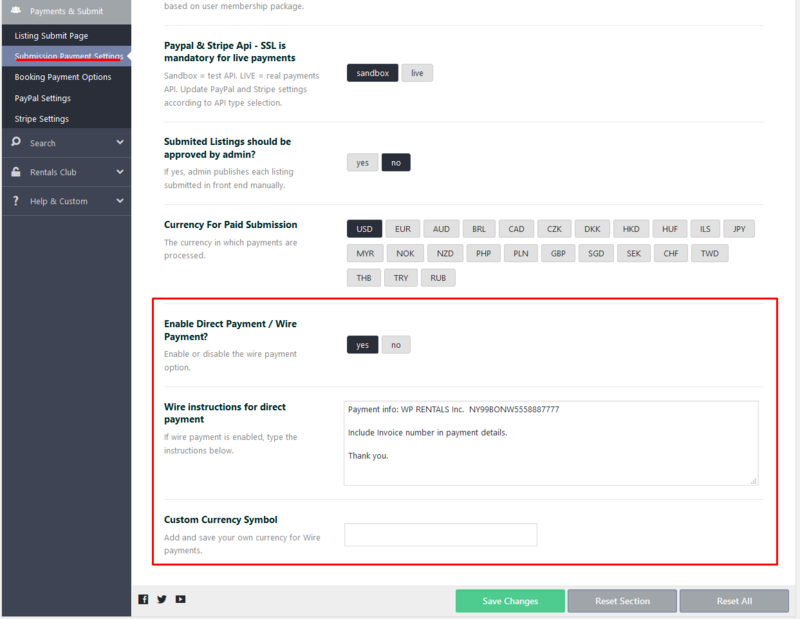 In admin invoices you also see invoice status: Issued (means invoice is not paid) and confirmed/paid. 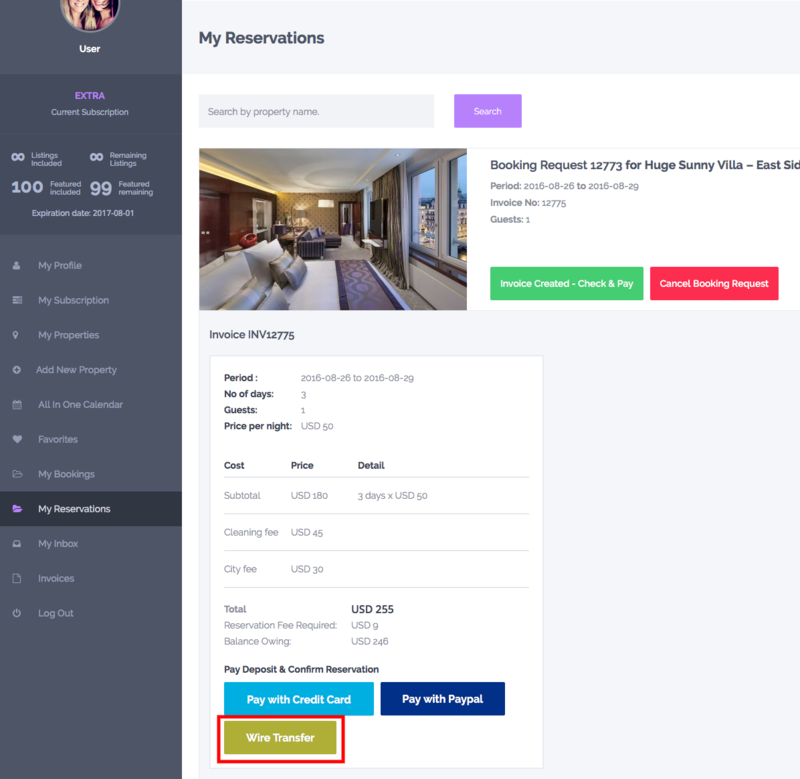 In Users – Edit Users you can check and confirm the user has received the package ID, listings included and featured included automatically. 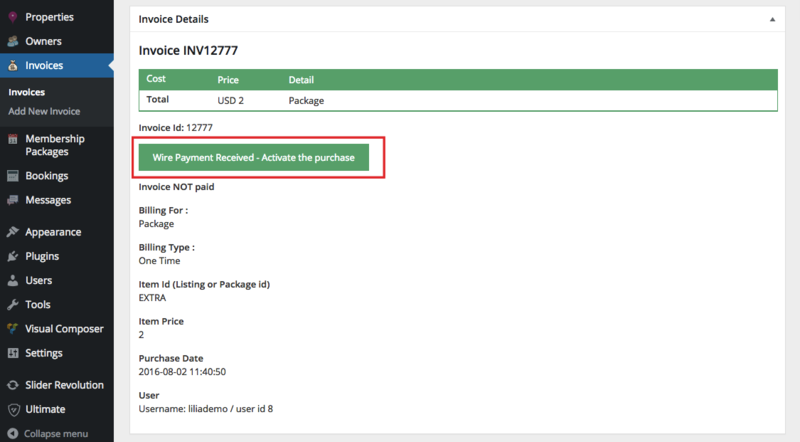 The package will expire based on Membership Package expiration setting, counting the number of x days, x weeks, x months or x years starting from the Package Activate date. Once Admin marks the invoice as paid – property is published and the owner is informed his property was published on the website. 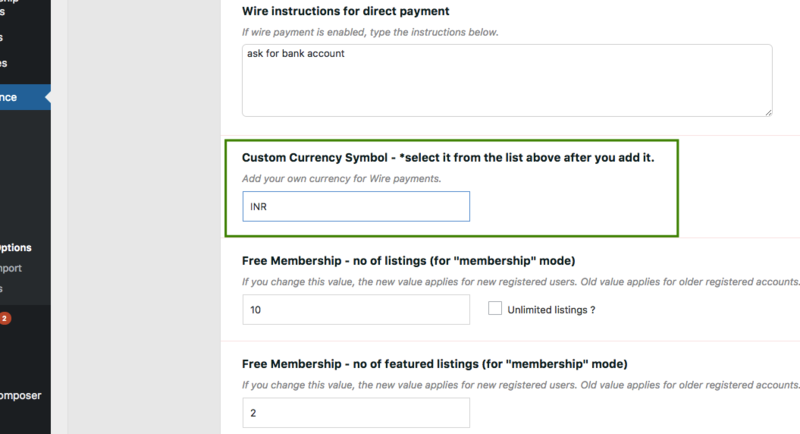 If you wish to use just Wire Transfer and your currency is not on this list, you can add your currency from this option in Membership Settings.